All use of the Print Partners Service, plugins ("Application") and PrintPartners.com (the "Website") are governed under these terms and services which are available in their most recent form in the footer of the Website and Application. The Application and Website are both owned and operated by Print Partners. By agreeing to the Print Partners Service you agree to the following rules, procedures and practices in their entirety. In order to use the Print Partners Service all members must become a registered user ("User"). All Users are required to have complete & accurate information including personal & payment details. The User may opt out of promotional marketing emails without canceling this agreement. The User can also end the agreement at any time using the 'Destroy' action in their Account settings. To register, a new User must subscribe via the Website or Application and create an account. It is the responsibility of each user to keep their account details secure. Any breach of credentials must be reported to Print Partners immediately and Print Partners is not liable for any losses to the User caused by the loss of credentials or their unauthorized use. Users are also not permitted to use another User's credentials or access their information, designs, or dashboard without their explicit permission. Print Partners may cease, suspend or alter the Services, Products, charges, and fees at any time. Print Partners may also cease, suspend, or alter services for individual Users without notice or liability. If not a corporation (LLC, Corporation, etc), the User must be at least 18 years of age. The User must also certify that they are legally allowed to use the service and take full responsibility for the at-will selection of the Print Partners Service. This agreement is invalid where prohibited by law or revoked as a right to access. Print Partners, as the owner of this Service may modify or change the agreement, prices, and terms of this agreement at any time. The User is responsible for reviewing these amendments and making any necessary changes. Continued use of the Print Partners Service constitutes continued agreement and acceptance of the updated terms and conditions. You own the rights and or copyright to the Designs. If you are not the owner of the Designs, you have explicit permission to use, reproduce, display and sell the Designs. You also agree to license Print Partners the use & reproduction of your artwork (in order to print it) as well as display in our portfolio and marketing materials, unless otherwise specified. Your Designs will not infringe on the intellectual property of other Users, businesses, or entities. If found in breach of these terms of service or any applicable laws, Print Partners reserves the right to review and remove any infringing content or cancel your account without notice. To reiterate: the User, and not Print Partners is responsible for all Designs uploaded or sold as part of the Print Partners Service. In addition, if you believe that any of your own intellectual property is being used without your consent on a platform or service owned or operated by Print Partners, please send a notice of this infraction to us. If any legal action is opened against Print Partners due to the ingrignment or actions of the User, that User will be completely responsilble for all legal fees, out of pocket expenses, applicable expenses associated with defending the suit. Because Print Partners does not own the copyrights to your designs or intellectual property, we will not distribute or disseminate your Designs to other entities or persons outside the Print Partners Service. For wholesalers with a valid resale license, please email your certificate to support@printpartners.com. Once an order has been submitted to us, it can no longer be edited or canceled. If the order must be altered at this point, please contact us as soon as possible at support@printpartners.com. All returns, replacements, and 'item not received' claims are subject to investigation and review by Print Partners. In general, Print Partners does not offer returns, however we are happy to offer reprints for any printing or production error where Print Partners is at fault. Simply send us a photo of the mistake within 30 days of the delivery date and our support team will arrange for a replacement. It is the User's responsibility to report or file any claims with the Carrier for lost items. In these cases, it is not the responsibility of Print Partners to resend the Product or offer a refund or credit. Print Partners may save User's payment information for use in all future payments, shipments, or cases where a charge must be made to the User. By entering their card details in the Print Partners system, Users agree that they are legally entitled to use the means of payment entered, and that they are the cardholder or have the explicit permission of said card holder to make purchases. 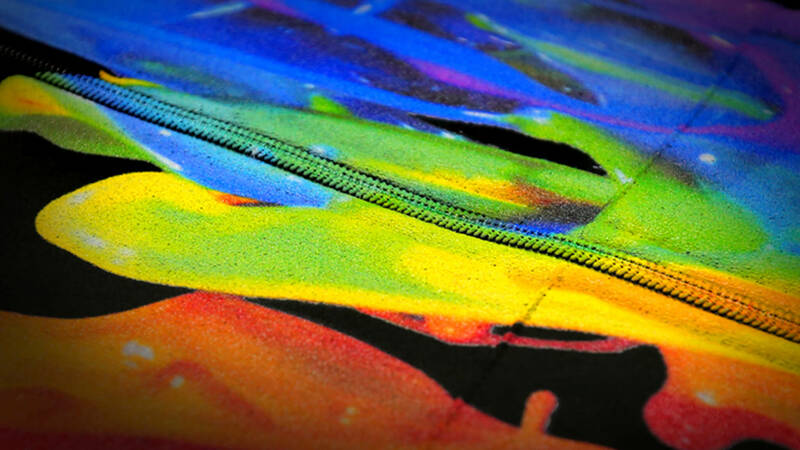 Two-sided prints, or artwork that is printed on both sides of the garment is available for most products in our system. However, additional prints cost extra, and the cost may vary across styles and sizes. Please use the product generator for specific two-sided pricing details for each garment. Print Partners may also cancel any orders at its sole discretion, as well as change or suspend any products, prices, and promotions. Payments, charges and invoices associated with Print Partners may show up on your account statement as "The Dream Junction LLC" instead of Print Partners. 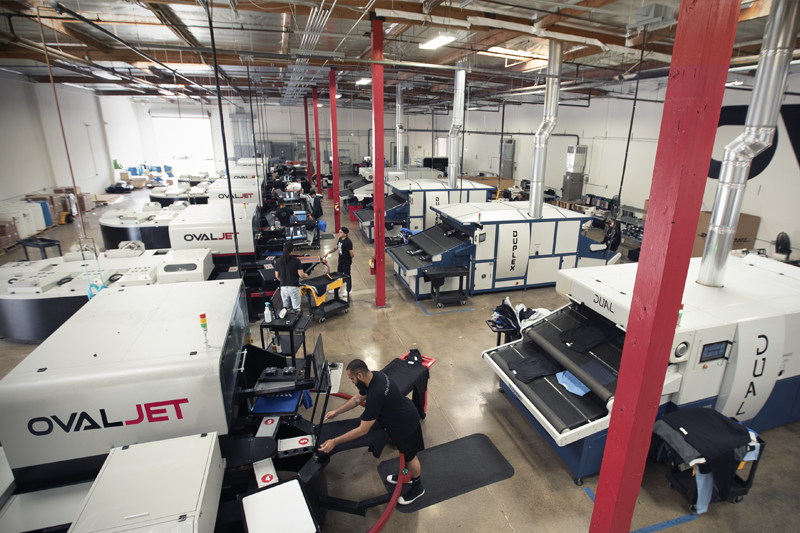 On demand printing is all about speed to the customer! However, occasionally, and for reasons often outside of our control- some garment providers are not able to consistently deliver garments. This is particularly true for independent brands, who produce and distribute their own product. But it can also happen to larger brands during a shutdown or sale (American Apparel). In these cases, to assure speedy and efficient delivery to the customer, Print Partners reserves the right to automatically replace your garment with another of comparable quality. Don't worry! We'll be sure to pick one with a similar cut, style, and size. For major out of stock issues, you can expect to receive an email notification as soon as we are made aware. However for small scale issues affecting individual orders, Print Partners will typically apply the garment change without direct notice so as to produce the fastest delivery possible for the customer. Once again, we are always working actively to keep our inventory stocked. However, in the event that a garment cannot be sourced, Print Partners will choose a similar garment of comparable quality in order to complete the order in a timely manner. Guest accounts are created temporarily in our system and will typically last 30 days. However, as these are temporary accounts and not tied with your email address, a change in your operating system or browser could effect your ability to access your temporary profile. For this reason, we suggest all users complete their full account setup as soon as possible to retain full access to their account. It is your responsibility to keep your account secure. Uploaded artwork files are tied to your account and are not available to other users. A copy of your artwork is saved on our system and added to your design library. Print Partners does not currently limit upload size or volume, however we do reserve the right to suspend or cancel accounts who are abusing our data uploader & cloud storage space. Your data is one of our top priorities, however due to possible unforeseen changes in platforms we partner with or methods of data storage, Print Partners cannot guarantee your artwork will be available for eternity on our platform. For this reason, we recommend that all users keep a backup copy of their submitted artwork. Print Partners calculates your discount rate based off your historical order data for the previous week. For instance, if last week you placed 157 orders, your tier 2 discount would automatically be applied to each and every purchase in your new billing cycle, seamlessly leaving the extra profit from the sales in your account. At this time, Print Partners is not making exceptions to our tiered pricing system, and your current price will always be reflective of your historical data, as calculated weekly. If you have not made any sales, or there is no historical data to operate on, you will be placed in the default tier until your volume is increased. One other thing to note, is that we count PRINTS not orders toward your Total Print Number. In this situation, products with artwork on both sides would count as two 'prints' instead of one 'order'. Violation of any of the Visitors Policies laid out in this Terms of Service may result in termination of your User account. In addition, any artwork may be removed by Print Partners with or without prior written consent and at their sole discretion. All User's agree to take full liability for their Designs. This includes both copyright infringements and incomplete, corrupt, or improperly stored files. Users also take full liability for information entered into the Print Partner Service (including product details and pricing). In a situation where a loss is incurred by Print Partners due to the improper entry of information by a User (including but not limited to sales tax), the User will be responsible for the cost, and will be billed via their saved billing details outlined in the Payment & Fees Section. Print Partners also reserves the right to cancel or suspend access to any Service or Product belonging to Users that create legal liabilities or do not follow our policies. Due to constant changes in the industry as well as our desire to bring you more products at better prices, we are always updating our products, prices, and product descriptions. In addition, while we always strive to represent all products, colors and design mockups as precisely as possible, we cannot guarantee that the colors or details on each product will be 100% accurate representations of the final product. An order submitted to Print Partners represents an offer made by the User to Print Partners. The offer is not accepted until a confirmation email is sent by Print Partners. Any Product not included in the confirmation email is not included in that order. In general, Print Partners will print & ship within three business days of recieving an order. Users release Print Partners (and all our employees, entities, officers, directors, agents, subsidiaries, and joint ventures) from claims, demands, and damages of any kind pertaining to this agreement or a dispute that is connected to this agreement in any way. Print Partners does not have explicit control over worldwide shipping and cannot guarantee delivery dates once the Product is handed over to the Carrier. In addition, Print Partners will be released from any damages or claims resulting in loss of revenue or benefits to Users due to cancellation or suspension of this agreement. The Print Partners trademark is the sole property of Print Partners. You may not use our trademark in whole or part in your own trademark. Any reference to our trademark and its connection with our Service must be clearly referenced and not confuse the relationship between Print Partners and the User or any of the services offered by Print Partners. You indemnify Print Partners (and all our employees, entities, officers, directors, agents, subsidiaries, and joint ventures) from claims, demands, and legal action (including attorneys' fees) which arise from a breach of this agreement or the violation of the laws or rights of a third party. In the case of a dispute between Print Partners and the User, we encourage you to contact our support staff directly. Any claim or dispute made against Print Partners must be resolved by a court located in the State of California. Not all breaches of the contract require enforcement by Print Partners. Failure to react to one breach however does not constitute waiving our rights to take action on a similar breach or subsequent breach. Print Partners may transfer or assign this Agreement and all the rights outlined under this agreement at any time.